I don't remember exactly how old I was when I picked up my first John Irving novel--no more than fifteen, I'd guess. I know that the first was The World According to Garp--its title irresistible to me as I wandered the aisles of The Book Nook looking for ways to spend my meager Burger King paycheck. Garp was one of my first adult titles--not counting the formulaic (but absurdly addictive) Wagons West series and Herman Wouk's The Winds of War. * I adored Garp and set out to read everything else Irving had written up to that point. I found myself passionately in love with some of the titles, lukewarm about others--a pattern that would continue with Irving's fiction over the years. Of that first batch, Garp and Hotel New Hampshire were lasting loves. The Water Method Man and The 158-Pound Marriage--eh. And it took me three tries to make it past page 166 in Setting Free The Bears. Later came Cider House Rules, a true masterpiece and, though I don't entirely believe in "favorites," were I forced to list a Top 3, that book would most certainly be on it. Other than Wuthering Heights, it is the book I've re-read most often. A Prayer for Owen Meany is another passionate--though less frequently revisited--love. I started but never finished Son of the Circus and Until I Find You. The Fourth Hand and A Widow For One Year were both enjoyable reads, but failed to move me the way Irving's best work does. Last Night In Twisted River is another example of Irving's best work--I found the characters and their lives so engrossing that when I got to the final page, I seriously considered flipping back to the first page and starting over just to spend a little more time in that world. All this is to say that John Irving and I have a long but occasionally rocky history together and I begin each new title with a mixture of anticipation and trepidation that borders on anxiety. A mediocre Irving title is all the more disappointing because of how great I know an Irving title can be. Happily, Irving's latest, In One Person, is one of the great ones. From a young age the narrator, Billy Abbott, finds himself with crushes on the "wrong people." 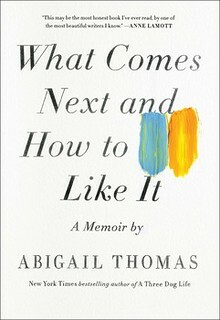 Raised in 1950s and '60s Vermont, Abbott is nevertheless surrounded by mostly supportive people who are accepting of what he eventually realizes is his bisexuality. The novel is full of quirky characters and family secrets. It is most powerful when it touches on the early days of the AIDs epidemic, from which Abbott is spared, but many of his friends and former lovers are not. The themes of tolerance and self-discovery, of sexual and personal identity and the costs of hiding our true selves run throughout the book, but it did not strike me as in any way heavy-handed or overtly political, rather it is a deeply personal tale well-told. In addition to plot and theme, there is, always, that Irving "voice," with its italics and rhythmic sentence structure, its well-placed exclamation points and soothing repetition. It occurred to me partway through this book that part of what has always drawn me to Irving is that his narrative "voice" is one that closely resembles the voice I often hear in my own head. Did reading his novels at a comparatively young age influence the voice in my head? Or was I attracted to the novels because my head already sounded like that? Regardless, reading a "good" Irving title always feels like something of a homecoming for me. Masked Mom's One-Word Review: Satisfying. *The summer I was thirteen, I read the books of the Wagons West series in the same rapid succession a chain smoker smokes cigarettes--begrudgingly relinquishing one seconds before picking up the next. As for The Winds of War, I picked it up my freshman year of high school after being thoroughly enthralled with the miniseries based on the book. In retrospect, my fascination relied heavily on the presence of the (at that time) absolutely adorable Jan-Michael Vincent in the role of Byron Henry, but I nevertheless made my way through the entire 1047 tiny-printed pages of the mass market paperback edition of the book and went on to read the sequel War and Remembrance. Also in retrospect, my steely determination to conquer the book was due in no small part to the offhand remark of my Western Hemisphere Geography teacher when he saw the book on my desk. He said, "Good book. But I don't think you're quite old enough for it." I don't know if that was intended as a "mature" subject matter warning or more reading-level related or some combination of both, but in any case, I showed him! Oh my goodness, I could have written this post almost exactly. I love Irving (though Hotel New Hampshire was my least favorite. It was great until the last 1/4 of the book, and then I just couldn't stand it. Owen Meaney is in my top five books of all time. THAT is what I strive to be one day. It is just a perfect book, it has absolutely everything. Well, Kelly beat me to the punch, but I also have exactly the relationship with Irving that you describe. Except I adored Setting Free the Bears. I have been somewhat skeptical of this new one, in large part because I have "liked" John Irving on Facebook and he comes across as a bit of a prat. I realize this is a ridiculous reason not to read his books. Owen Meaney knocks my socks off every time I read it. Now I'm going to have to read In One Person because Masked Mom said to. Also, I had a similar crisis with Irving many years ago when there was an interview with him in Newsweek having to do with school taxes in Vermont. I believe he was upset about a plan to redistribute tax dollars from "richer" districts into "poorer" ones. In it, he stated that he was planning to move to Canada so that his son (who was four or seven or something at the time) would not be the target of "trailer park envy." I seethed about that--it still pisses me off. And it seems so at odds with the principles his fiction seems to support & put forth. In fact, it may have played a large part in my lukewarm feelings about a whole patch of Irving's books. Last Night In Twisted River was a real turning point for me, sucked me in almost against my will--and I decided that I was just going to pretend that Irving, the man and Irving, the writer were two entirely different people. I assiduously avoid any interviews with him, especially video versions...I cannot have the HIM he is in my head and on the page being sullied by the HIM he is in the "real world." The whole thing reminded me then (and again, now) of this line from Irving's A Widow For One Year: "It disturbed her to read biographies of writers she loved; she preferred not to know anything unlovable about them." How appropriate is it that Irving (that prat) penned those words? Definitely sounds worth exploring! The World According to Garp - LOVED it 0 might have been just the era in which I read it but I loved it - Cider House Rules ditto - hit and miss on others - so much so, that I haven't even tried them ....... Going to check this one out though - thanks for the review! MM, You have finally struck serious pay-dirt with me and reviews. I am so hopelessly out of the contemporary literature picture. But, I have read all of the John Irving novels you mentioned, including the fact that I could not get through "Son of a Circus," either. I am going to go out and buy my first book in over a year. Thanks for the post! Mark, let me know what you think of it. I'm not much into ranking most of the time, but I would rank it with his best.